This is day 8 of my 90 challenge where each day I produce 1 new painting from life. 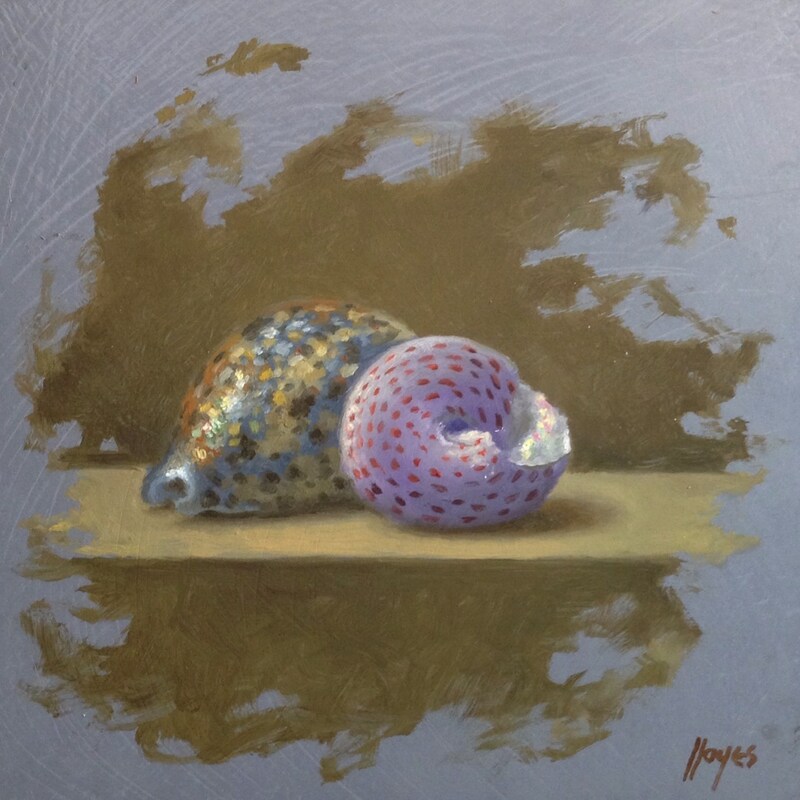 The model for today’s painting was a pair of shells. I was drawn to them by the patterns of markings – especially the spiral design on the right-hand shell. In addition, I enjoyed capturing the iridescence in the mouth of that shell.